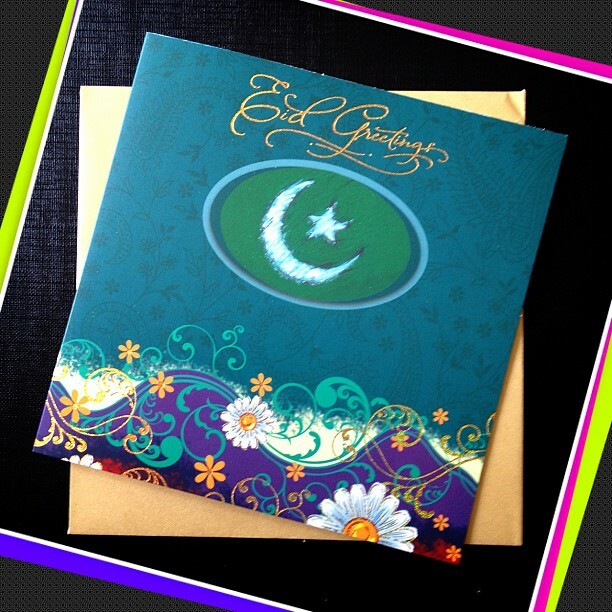 I'd like to wish everyone whose celebrating this weekend a wonderful Eid-ul-Fitr. We'll cook plenty at home tomorrow but we've been invited to my sisters house. Saying that though the neighbours are already cooking and I feel so hungry and craving for whatever it is they are making. The first thing I'm getting on Monday though is some ice-cream! I am now looking forward to a full nights sleep with no alarm clock waking me up at 2am, I'm usually in between sleeping anyway which is why I'm completely and utterly shattered. I'll hopefully also get my blogs back up and running properly again. I'm working on some projects at the moment which are quite fun :). Have a great weekend everyone else whose not celebrating! I will as I'm really looking forward to it :). I went to the supermarket as they had magnums on offer so I'm wondering if I should get that instead... maybe I'll have one of each :P.